Thank you for visiting our new Internet site. As independent music artists, we want to give you the opportunity to listen to, and enjoy, our musical perspective, and spiritual interpretations. The name Anyonetime comes from the moments within the flow of creativity, in which an idea is conceived, developed, fine tuned, and published. Each moment unique, by its singular contribution to any idea, at any one time. Time is the entity that exists at the center of consciousness, that allows us to exist in three demensions simultaneously. The past, present, and future. The past, which is fixed, finished, and unchangeable, can be represented by God. The present,which is liquid, flowing, vibrating, can be represented by Jesus The Christ. The future, which is ethereal, ever changing, forever leading, can be represented by The Holy Spirit. This,The Holy Trinity, is within each one of us. The perfection of God dictates that there be only one of each individual thing. There is only one time that we share, and it spans forever. Each particle of matter represents, Any One Time. When we look into the night sky and marvel at the vastness and beauty of the universe, our science conceals the fact that we are looking at the singularity. The one thing. Because there are not two or three or four universes. Just the one. Everything is a part of, and within it. So we look at where we come from. We look at what we are. A moment of time in eternity. Time that lives. Time that breathes. Time that watches. Time that records. 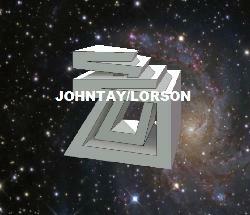 Johntay/Lorson is our independent songwriting studio, name, and label. 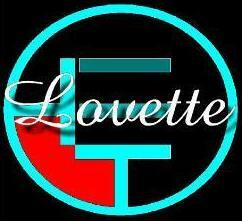 Lovette, (Gloria ) is the inspiration for all that Johntay/Lorson represents.